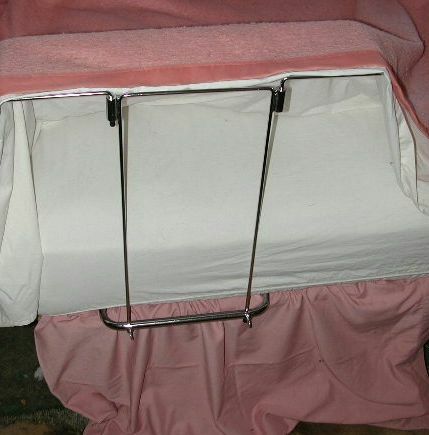 Bed Positioning Aids for in home care of the elderly, stroke, Parkinson's, disabled, handicapped and geriatric. 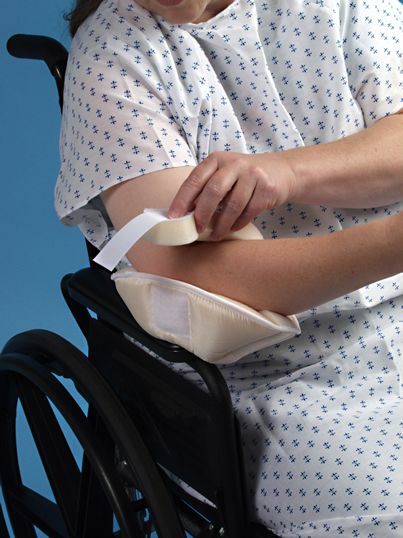 Bed Positioning Aids help caregivers better position patients for more comfort. If the person you care for has to spend most of their time in bed, be sure to help them change position often. Health care providers recommend changing position at least every 4 hours. 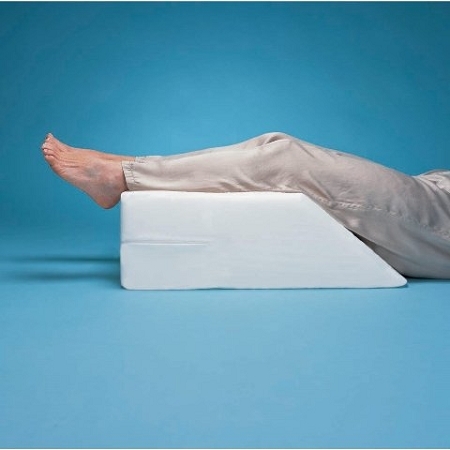 Foam wedges, wedge pillows, rolls and leg supports can be useful in providing comfortable position changes. A medical "trapeze" over the bed can help the person shift position by themselves if they are strong enough. If they are so weak they can't turn over, have a health care provider show you how to use a sheet to help roll the person in bed from side to side. Relieves low back pressure, reduces swelling and improves blood flow to the lower legs. 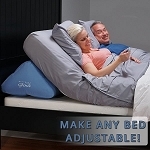 Transforms your existing bed into an adjustable bed with just the touch of a button! 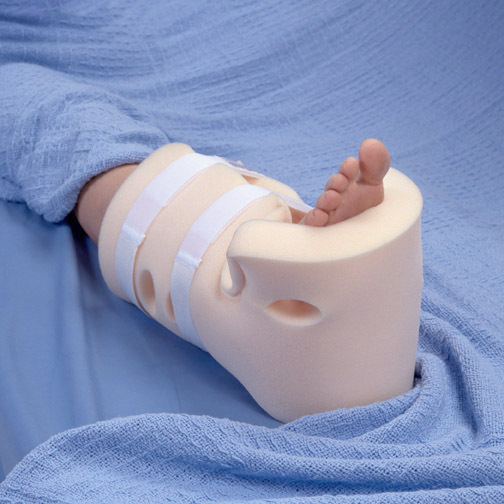 Aids in preventing heel pressure ulcers in children. 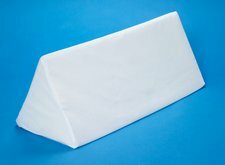 Helps prevent heel pressure ulcers in bariatric patients. 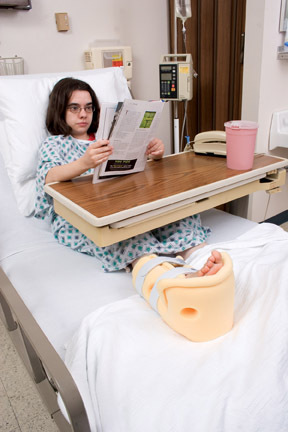 Adjustable blanket support lifts up blankets to protect sensitive feet. Protects, elevates, and cushions the elbow.